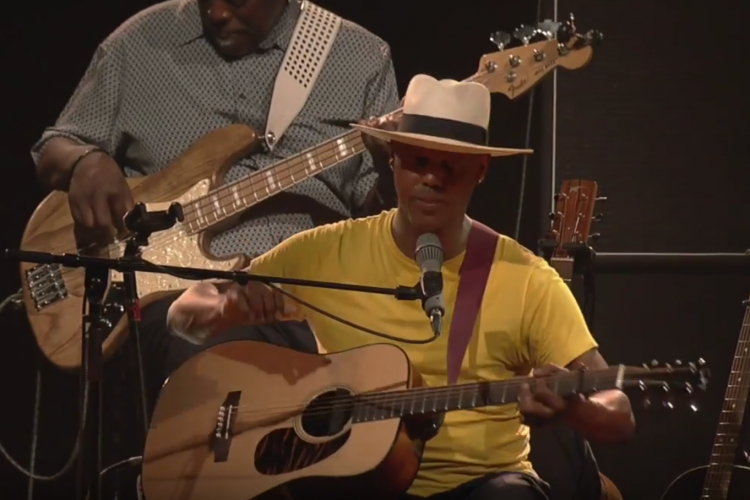 I just had the opportunity to review the most recent 2 disc release, Global Griot, from Eric Bibb and it’s very warm and rich with heavy cultural influences. Opening with Gathering of the Tribes, Bibb blends the rhythms and instrumentation of Africa with his own warm vocal styling creating a unique sound. Rolling into Wherza Money At Bibb works a Jamaican sound and with key trumpet, organ and string accents weaving a really nice cultural textile. Very nice. Boogie track, Black, Brown and White takes on a traditional American blues form with soulful vocals, great rhythm and style. A Room For You is a light, folk style track with nimble fingerpicking, cool percussion and trademark Bibb vocals. Solo Cissokho is featured on Spirit Day, a cool West African flavored track with Harrison Kennedy on vocals. Very cool. Instrumental, Picture A New World is a nice guitar progression on a basic melodic them creating a peaceful sound with interwoven textures of sound. Wrapping the release is Needed Time with warm vocals, sparkling guitar and kora melodies and simple rhythm. This is a cool release with various nicely blended themes resulting in a very enjoyable package.